The ethnic and regional divisions with New Jersey continued in the years leading up to the Revolution. Calls by Royal governors to support the British military in defending against Native American raids on the western frontier and against the French in the French and Indian War were opposed by pacifist Quakers in West Jersey, who ignored resolutions to provide men and money for the militia. In 1740, 300 New Jersey volunteers joined an expedition to attack Columbia during “The War of Jenkins’ Ear" (1739-1744), with most dying from combat and disease in the failed expedition. In 1744, during King George’s War (1744-1748) the New Jersey legislature appropriated money and raised 500 volunteers, soon called “Jersey Blues” because of the color of their uniforms, to assist New York in capturing the French fort at Crown Point, but the poorly organized effort was abandoned. In the French and Indian War, raids by Native Americans aligned with the French along the border on the Upper Delaware in 1755 provoked the muster of a thousand man regiment to garrison forts along the Delaware and to fight in New York. One detachment of the regiment was captured at Oswego in 1756, and another largely destroyed in a fight at Lake George in 1757. In the same year, another 300 surrendered to the French at Fort William Henry, with some massacred by the Native Americans. A 1758 truce with the Lenape ended raids into New Jersey, and the New Jersey troops helped General Jeffrey Amherst capture Montreal in 1760. In 1764, William Franklin, the illegitimate but acknowledged 33-year-old son of Benjamin Franklin who had been raised with Franklin's other children in their home in Philadelphia, was named the Royal governor of New Jersey. The appointment primarily came through the influence of his father in cultivating relationships with government officials in London when the senior Franklin was posted there in 1757 (taking William along with him) representing the interests of the colonial assembly of Pennsylvania. 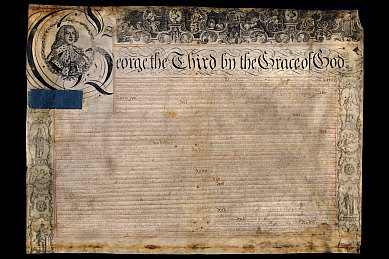 Shortly after Franklin came to New Jersey as the new governor, the English Parliament enacted a ban on the future issue of paper money in the colonies, an act that undermined the growing economy and placed particularly severe burdens on New Jersey, which had come to rely to a high degree on the credit provided by paper bills. The government in London compounded the problem by passing tax measures such as the Stamp Act on newspapers and legal documents, moves which many New Jerseyans believed were in violation of the commitment from the proprietors that taxes would be levied only with the assembly’s approval. While the Stamp Act was soon repealed in the face of colonial protests, the English government rejected petitions from New Jersey to reinstitute paper money to alleviate the pressure on debtors. The issue also brought a renewal of old class conflicts since many of the creditors aided by the fiscal policy were descendants of the proprietary landowners who maintained continuing influence in the judiciary and the legislature. Sparked by anger over debt and land claims, riots broke out in Newark during 1769 and 1770, and in January 1770 a mob seized the Monmouth County Court House to block the prosecution of debtors. Governor Franklin’s efforts to pacify the situation were complicated by his conversion to the Anglican church, which was strongly opposed to the growing influence of Presbyterians in the colonies. Franklin sought repeatedly to assert control of the College of New Jersey at Princeton, the base of the Presbyterian opposition to the Royal government. 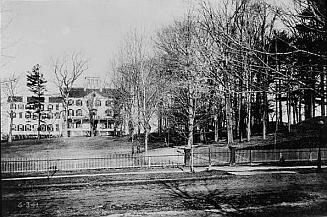 Rejected by the College’s board of trustees, in 1766 Franklin granted a charter establishing the new Queen’s College at New Brunswick to compete with the influence of the faculty in Princeton. Queen’s College was intended to provide an alternative for education of the Dutch Reformed clergy, making a political coalition between the Presbyterians and the Dutch Reformed less likely. At this time, New Jersey had one of the most diverse religious profiles of all the colonies, with Presbyterians, Quakers, Anglicans, Baptists and Dutch Reformed all represented within the colony. The religious conflicts also led to political opposition to the London government, with the College of New Jersey becoming a center for resistance to British authority. 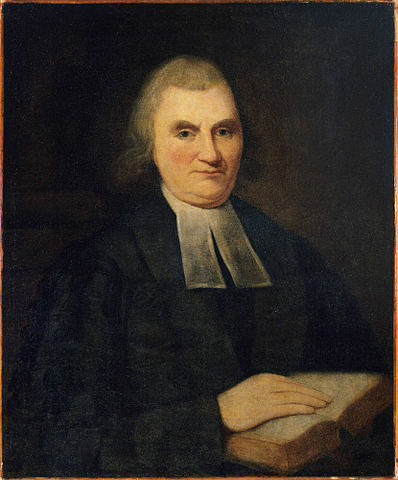 In 1766--the same year that Governor Franklin granted a charter for Queen's College--John Witherspoon, a prominent Presbyterian theologian and educator who had been recruited by James Madison and other alumni of the College, emigrated from Scotland to become the College's sixth president. Witherspoon soon became a leading advocate of rebellion and a formal break from Britain, later elected to the Continental Congress and a signer of the Declaration of Independence. To counter the growing movement to break with England, Governor Franklin attempted unsuccessfully to persuade New Jerseyans to accept belated offers by Parliament to reach an accommodation. The pressure for action led in 1775 to the convening in Trenton of New Jersey’s first Provincial Congress, dominated by Presbyterians including John Witherspoon and William Livingston, a member of an influential New York family who had moved to Elizabethtown upon his marriage to a New Jersey woman in 1772. The Congress at Trenton voted to seek companies of volunteer soldiers from every town, and authorized issuance of paper money to pay and provision the militia. At a later meeting, the Congress voted to strengthen its effort by requiring fines of able-bodied men declining to serve and authorizing seizure of property of those declining to pay to support the soldiers. News of the resistance in Massachusetts to the tax acts passed by the British Parliament also sparked similar action in New Jersey. About a year after the Boston Tea Party, on the night of December 22, 1774, in the town of Greenwich in Cumberland County, a company of about forty young men disguised as Indians, entered the cellar of a house owned by a Loyalist which was being used to store a cargo of tea imported from Britain. They carried the tea chests from the cellar into an adjoining field, placed them together in a large pile and set them aflame. On November 15, 1775, Governor Franklin made one last effort to keep New Jersey from joining the rebellion by convening the assembly. At Franklin’s urging, the assembly adopted resolutions calling for the New Jersey delegates to the Continental Congress to vote against any move for independence and to seek new efforts for conciliation with the Crown and Parliament. But after news of the resolutions reached the Continental Congress at Philadelphia, key leaders of the Congress rushed to New Jersey, successfully persuading the assembly to rescind its actions to avoid undermining the unified position of the colonies. Finally, in the middle of the night on January 8, 1776, armed militiamen arrested Governor Franklin at the Proprietary House in Perth Amboy. Franklin resisted leaving the House, however, and after negotiations he was allowed to remain under house arrest. While there remained considerable opposition in New Jersey to independence, the later actions in London to seize American vessels as contraband and the hiring of Hessian mercenaries served to strengthen the revolutionary cause in New Jersey. The Second Provincial Congress that convened in New Brunswick on January 31, 1776, was still divided on the wisdom of an outright break from England, and took relatively ineffective steps to mobilize and support the militia. 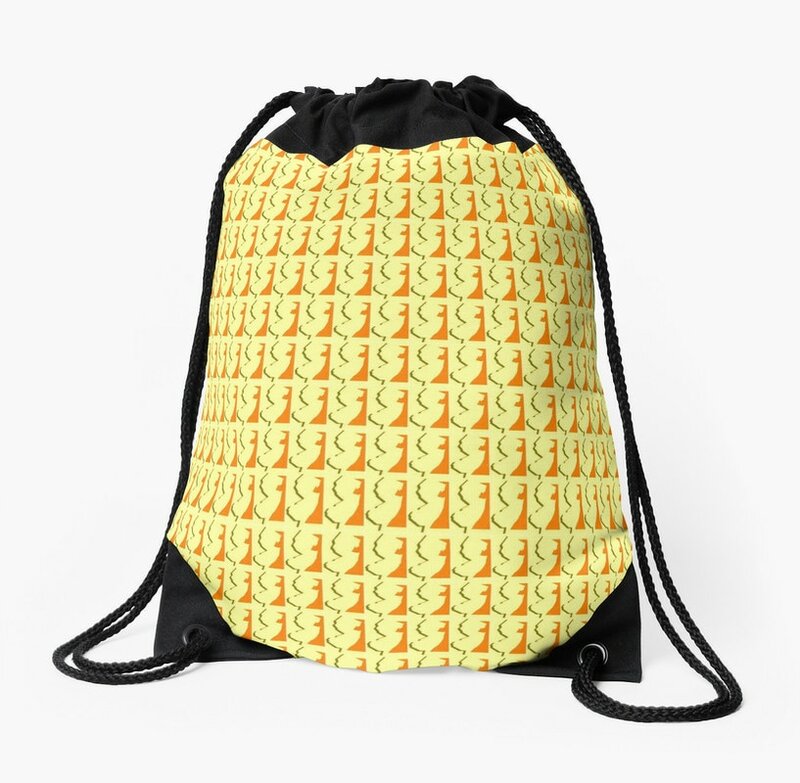 On May 10, the Continental Congress sought to force the hand of New Jersey and other wavering colonies by passing a resolution calling for all Americans to reject oaths of loyalty to the Crown, a resolution opposed by all three New Jersey delegates. On May 28, an election for members of the Third Provincial Congress of New Jersey was marked by violent intimidation by independence forces against those seeking to reach a compromise with London. Many loyalist voters stayed home in fear of reprisals, and only Bergen, Monmouth and Hunterdon counties, where loyalist sentiment remained strong, elected delegates opposed to independence. Bergen was the sole county to elect a majority of anti-independence delegates, relying on strong loyalist sympathies from its mostly Dutch population. In any event, while it is doubtful that the election reflected the majority opinion of New Jerseyans eligible to vote, the Third Provincial Congress was composed for the first time of a majority of delegates supporting independence. In June, following one last effort by Governor Franklin to convene the assembly to hear a potential reconciliation initiative, the Provincial Congress ordered that Franklin be detained by the militia and confined at his farm in Burlington County. When Franklin refused to recognize the legality of these actions, the Congress declared him an enemy of the country, guilty of “gross and insolent” conduct. Later, he was sent as a prisoner of war to Connecticut and freed in a prisoner exchange; following his release, he attempted from Connecticut to mobilize New Jersey loyalist forces to support a British surprise attack on Washington's army. In 1781, Franklin sailed off to exile in England, where he had one final meeting with his father in London which failed to reconcile their differences, and died there in 1813 without returning to America.